Born in Rome (Italy), at the age of eight Rossano Baldini began studying piano, which led to a Bachelor of Arts in piano at the prestigious “St. Cecilia” Conservatory of Music in Rome. In addition to classical music, immediately he got interested in jazz, composition, songwriting and blues music. He found source of inspiration in the bookshelves of his family house full of sheet music: his father, a self – taught music lover, says that before he bought the piano and then the chandelier in the living room. During his musical education, Rossano had the honour to study with world – reknown teachers and clinicians such as Antonio Valente e Franco Medori (classical music), Franco D’Andrea, John Taylor, Kenny Werner e Stefano Battaglia (improvisation). In 2007, before moving to the U.S.A., he held an Honor Degree in DAMS (Disciplines of Arts, Music and Performing Arts), from “Roma Tre” University of Rome. Back to Italy, he received his Master in Jazz Piano and Improvisation Tecniques from the National Academy of Siena Jazz (Italy). Since the beginning of his career, Rossano performed and recorded with world – class musicians such as Steve Mercurio, Michael Bearden, Gianluca Petrella, Timothy Brock, Manuel De Sica, Andrea Morricone, Anna Tifu, Pierpaolo Ranieri, Michele Rabbia, Joy Garrison, Badarà Seck. Since 2015 he is the keyboard player for Nicola Piovani for the following live shows: “La Vita Nuova”, on lyrics by Dante Alighieri with the actor Elio Germano and the soprano Rosa Feola; “La Musica E’ Pericolosa”, a music chamber ensemble which plays the classics of Piovani’s multi decade career. Since 2011, Rossano joined the Orchestra Italiana Del Cinema, with which he played in Italy and abroad. The O.I.C., with the High Patronage of the President of the Italian Republic, was invited to perform at prestigious venues all over the world: Arena Di Verona (Italy), National Center Of Performing Arts, The Great Hall Of The People (Beijing, China), Royce Hall (Los Angeles, USA), MiTo Festival (Milano, Piccolo Teatro), Ravello Festival, Auditorium Parco Della Musica Rome, etc. In 2010, he began an intense artistic collaboration with main soundtracks’ composers, like Nicola Piovani (“Una Gita A Roma”, “Hungry Hearts”, “La Trattativa”, “Sogno D’Una Notte Di Mezza Sbornia”), Carlo Siliotto (“L’Assalto”, “Mr Ignis”, “Dove Eravamo Rimasti?”, “Without Men”, “Mia Madre”), Andrea Guerra (“Scusate Se Esisto!”). 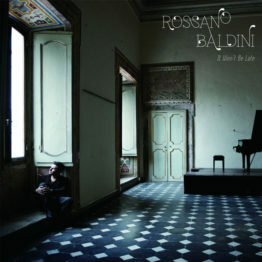 In 2012, Rossano Baldini released his first solo piano album, It Won’t Be Late, for the japanese record company Albòre Jazz Records, acclaimed by international critics. In the same year, he composed the original soundtrack for the movie Tutti I Rumori Del Mare, directed by Federico Brugia, special jury award at “Annecy Cinema Italien Festival 2012”. 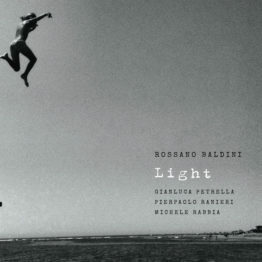 Baldini’s music has been published by Megasound Records, ConcertOne, Rai Trade (Italy), Trisol Records (Germany), Albóre Jazz (Japan).